We were delighted to welcome Eoin McMahon into our 5th/6th class this week. 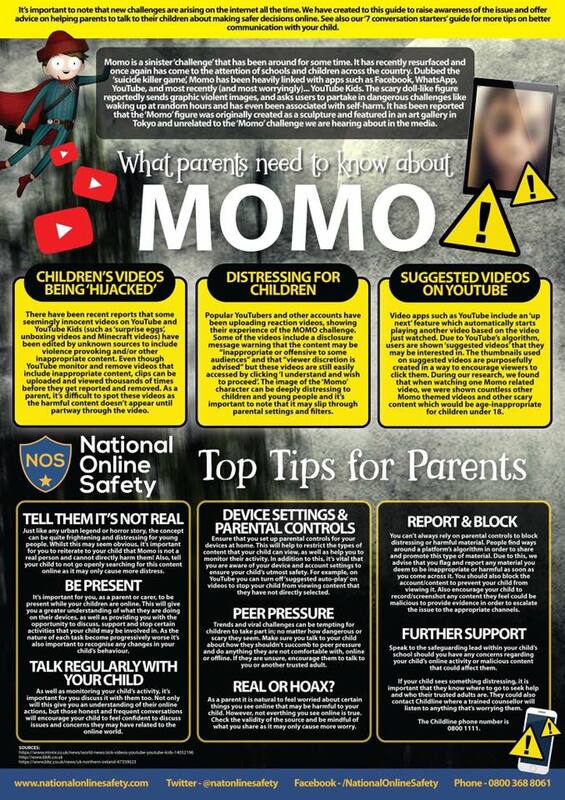 Eoin carried out a series of workshops aimed at promoting the responsible use of the outdoors. Cork City Council kindly sponsored the workshops under an environmental initiative called Local Agenda 21. Children had the opportunity to learn about preserving and protecting their local environment and the impact their own individual footprint can leave. Huge thanks to Eoin for a great day. Check out the pictures below! This week saw a fun filled week organised by our Student Council. 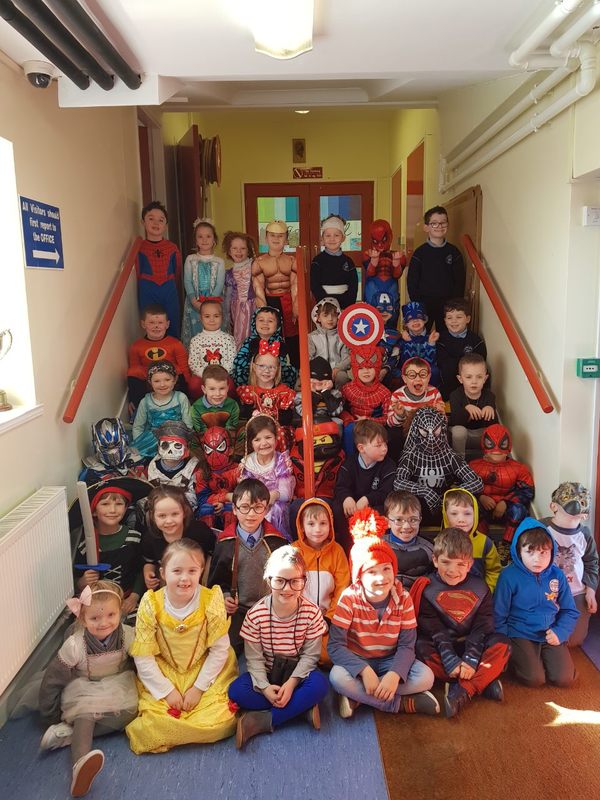 Check out the following link for full details and photos from the week. Also a huge thanks to everyone for supporting our fundraiser of Odd Sock and Colour Day in aid of Down Syndrome Cork. 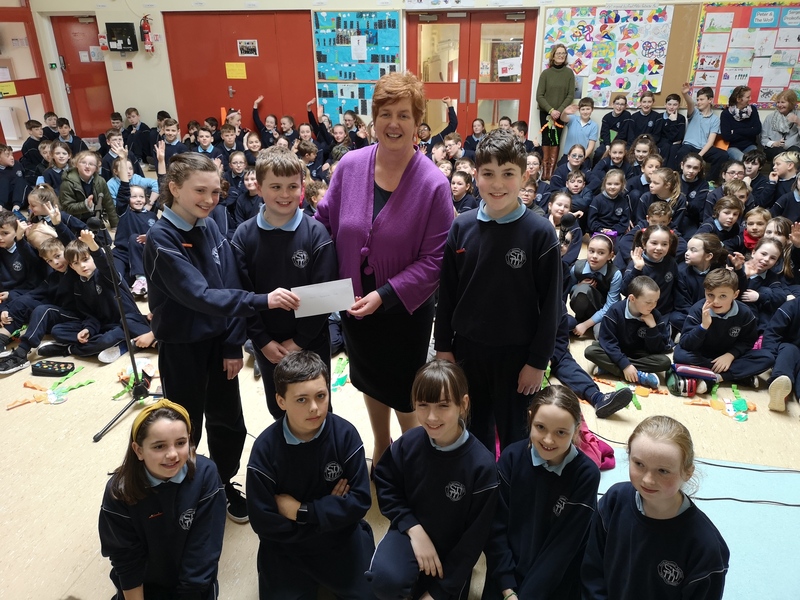 The fantastic amount of €665 was raised for this worthy cause! Today as a part of Friendship Week, the children of the school gathered in the senior yard to dance the Cha Cha Slide with their Buddies. Have a look at the video below to see what is just a small part of a really positive week in the school! 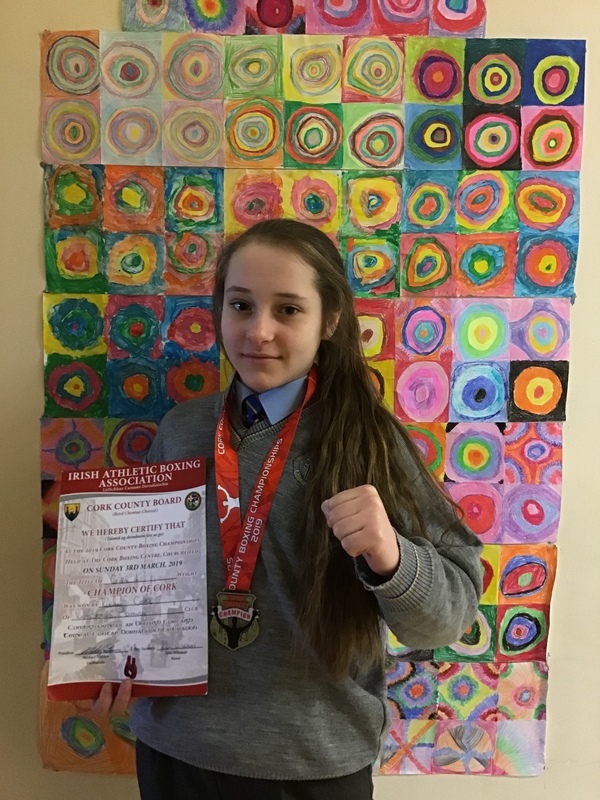 A huge CONGRATULATIONS to Kiely Cooke who won the County Final Boxing Championships in the Girl 1 Weight Category at the weekend. She has now guaranteed a place in the Munster Finals. 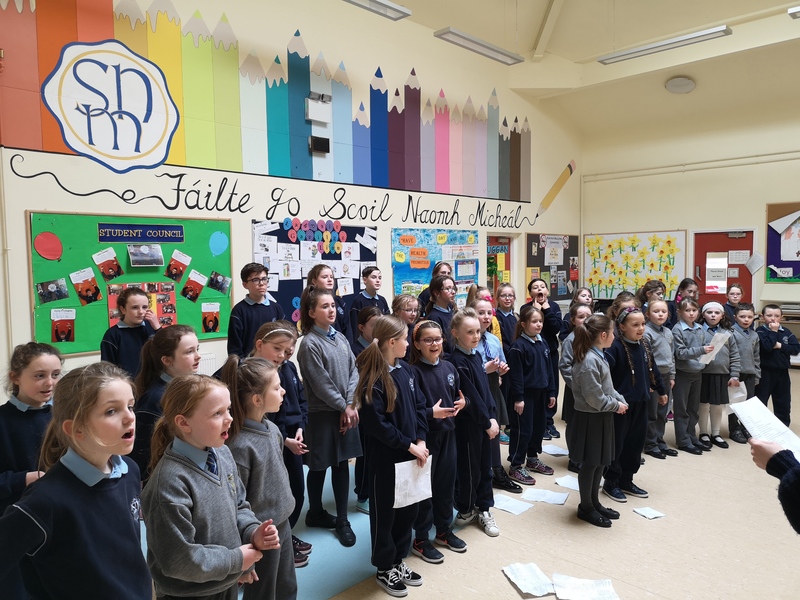 We in Scoil Náisiúnta Naomh Micheál are very proud of Kiely’s achievement and want to wish her all the best in the next rounds of the competition.